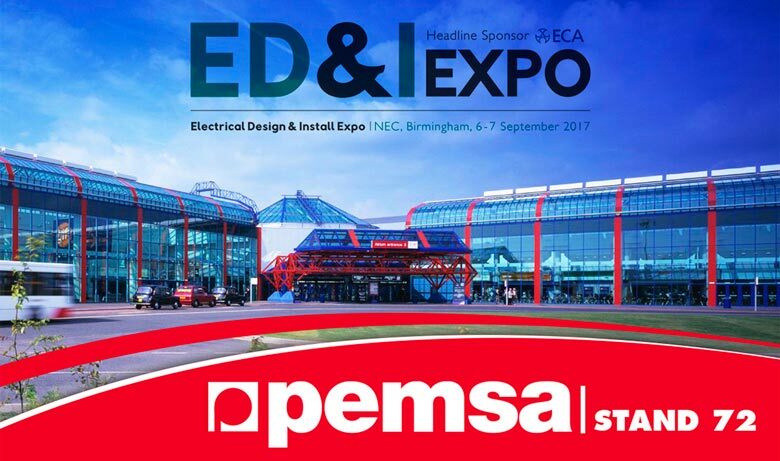 Pemsa will be at the ED&Iexpo, an important Electrical Design and Install Expo taking place at Birmingham’s NEC (National Exhibition Centre), on the 6th & 7th September. You can find us on stand nº. 72, at the centre of the hall. The ED&I Expo is an exhibition designed for experts of the electrical industry and allows companies and distributors to show their latest products and concepts. This show also represents a good opportunity to create new partnerships as well as to promote and encourage the flow and spread of new innovations and ideas. This exhibition will allow us to display our new array of products, which includes all of our Cable Trays and Ladder Systems for the protection and management of cables. The exhibition will also be the perfect opportunity to present Rejiband Black C8, a highly-resistant tray designed for aggressive environments. Dedicated Black C8 coated supports and accessories will also be on display.